← California is for preachers. And gardeners. At our weekly fresh food bank, we receive a variety of produce, meat and dairy products. Sometimes they are near their expiry date, other times they are just not quite nice enough to sell. Last week there were cases and cases of less-than-beautiful apples. They were a variety of different reds, greens and yellows. They were pock-marked, bruised, and misshapen. A few were huge, some were tiny, most were in between. We sorted from the cardboard cases into small bags, with half a dozen in each. When we spread the food out each week for people to collect, some things are very popular. Meat is always in demand. Milk and cheese are popular. Once we had big Toblerone chocolate bars and they disappeared in no time at all. But not these apples. By the time all the families had left, taking crackers and vegetables and meat and juice, there was still a big pile of apples. No one wanted them. So, as sometimes happens, the volunteers disposed of them. I took home four bags. Today I unpacked those four bags of terrible-looking, unsellable, unwanted apples. I got out my peeler and knife, and went to work to see what I could do. 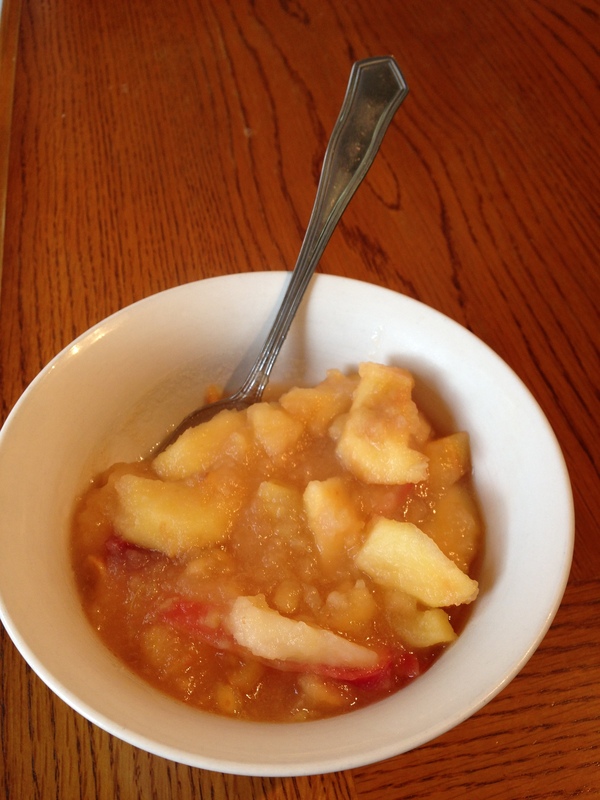 Half an hour later I had an enormous pot of applesauce on the stove that smelled delicious. And in the process I began to feel good, too. 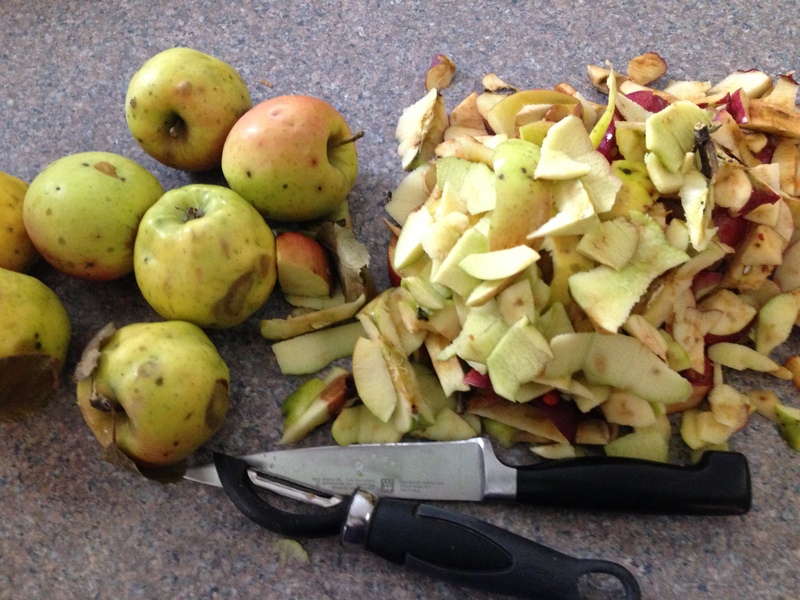 As I peeled and chopped I realized that every single apple that looked awful had sweet white flesh inside it. Every unwanted fruit was put to good use. There wasn’t a single apple that had nothing to offer. I may have started with a whole bag of bad apples, but I ended up with dessert. And I love dessert. It is at the heart of my theology that every one of us is created in God’s beautiful image, and that God can redeem absolutely everything. But today it was apples that told me the news I need to hear: no matter what messages the world sends me I, too, am wanted, beautiful, and useful. And if it’s true for me then it’s true for you too: you are wanted, beautiful, useful. So here’s my advice the next time you are feeling unsure of yourself, unwanted by someone, or just a little bruised. Go to the grocery store. Head for the reduced produce section. Buy some of the rejected apples. Go home and make applesauce. It will be good for your soul. I promise. This entry was posted in Uncategorized and tagged food, God, life. Bookmark the permalink.